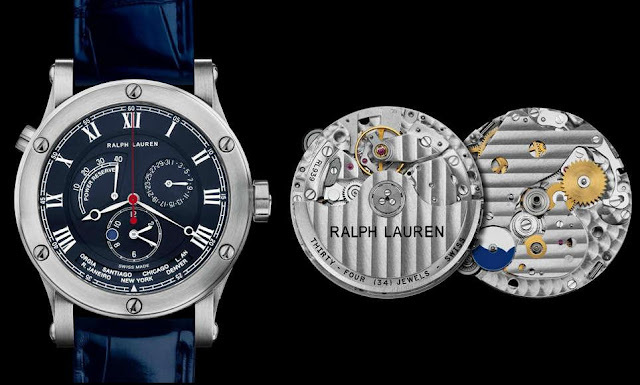 Inspired by Ralph Lauren’s own love of travel and international exploration, the Ralph Lauren Sporting World Time watch offers a complication that is itself an invitation to travel. At the turn of a crown, 24 cities display the sequence of time around the globe. The new creation will be on show at SIHH 2013. The timepiece takes you throughout the world as it displays 24 time zones, engraved over a disc. Measuring 45 mm in diameter, and beating at a frequency of 4 Hz (28,800 vibrations per hour), the watch is powered by the Calibre RL939 movement made by Jaeger-LeCoultre with a 40-hour power reserve. Water resistant to100 metres, the watch features a sparkling deep blue dial, a bright red second hand and day/night indicator. The deep cobalt blue alligator strap with matching pin buckle adds an elegant sophistication and style. Over the years, the division of time into various time zones challenged watchmakers to create a new complication that could represent all 24 global time zones within one watch, something much more complex compared to the simplified GMT dual time zone. The Sporting World Time model also offers a day/night indicator, a power-reserve display and a calendar. From New York to Paris, London to Hong Kong and Moscow to Tokyo, the Sporting World Time evokes the art of travel by allowing its owner to circle the globe at the turn of a crown. The Sporting World Time is said to appeal to a growing interest and taste among well heeled travellers for indulging in both sports and discovery. The Sporting World Time watch offers a stainless steel version enhanced by a bezel featuring six functional screws, this classic model is distinguished by a dial bearing Roman numerals and railroad-style minute track. and endowed with a 40-hour power reserve, the Caliber RL939 was developed by Jaeger-LeCoultre for Ralph Lauren. Do you have $,6,802,500 to spare on a clock for Christmas? Yesterday’s auction of Important Watches & Clocks at Sotheby’s New York was led by The Duc d’Orléans Breguet Sympathique, which set a new auction record for any clock and the second-highest price for any timepiece at auction. It sold for exactly that sum; $6,802,500, above an estimate in excess of $5 million. First invented by Breguet in 1795 and presented to the public for the first time at the Exposition Nationale des Produits de l’Industrie in 1798, the sympathique clock was a system consisting of a clock and a watch. The clock was designed to hold the pocket watch in its cradle, where it was automatically adjusted and rewound. The term sympathique was chosen by Breguet to express the notion of harmony and concord. The exceptionally rare Sympathique clocks, of which this particular model is easily the best preserved, complete with working parts comprehensively repaired by the late George Daniels, helped cement the fame and renown of French watchmaker Abraham- Louis Breguet. 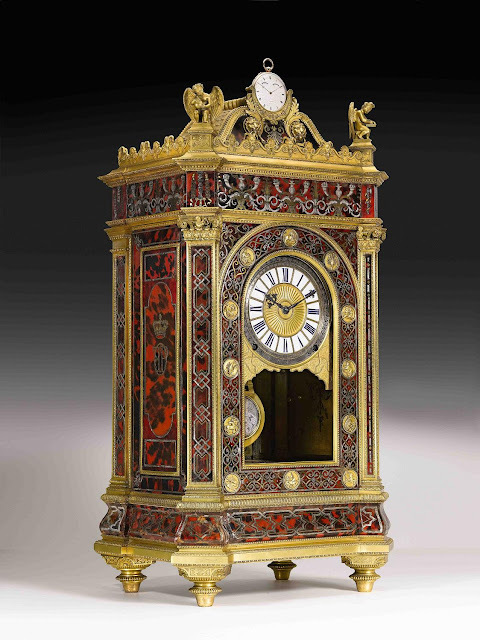 This clock, so named because it belonged to the Duc d’Orléans and was made especially for him in 1835, was last offered at auction in Sotheby’s in 1999 in a sale of ‘Masterpieces from the Time Museum,’ when it achieved $5,777,500 – this price has remained the auction record for any clock until today’s sale. The Important Watches & Clocks auction totalled $11,672,988, marking the highest result for a various-owners sale of watches and clocks at Sotheby’s New York. 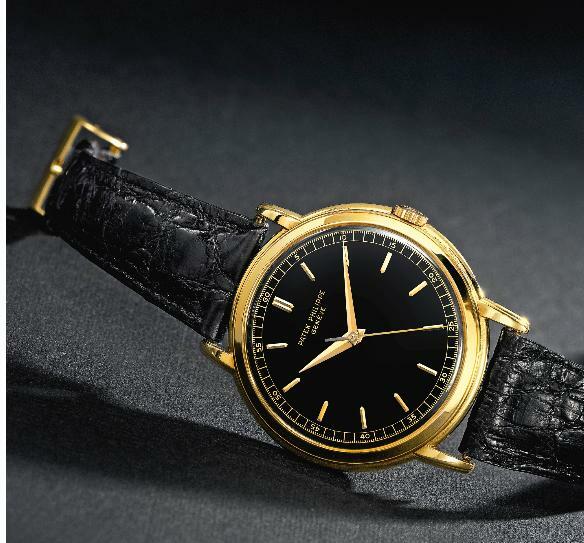 In addition to the Sympathique, both vintage and modern wristwatches by Patek Philippe dominated the day’s top results, led by A Fine and Extremely Rare Massive 18K Yellow Gold Centre Seconds Wristwatch, 1955, Ref 2512/1 that achieved $962,500, more than five times its high estimate of $150,000. The watch is a legend among collectors of Patek – at 46 millimeters in diameter, the dimensions of this reference are truly extraordinary, and the present example has remained in the same private collection since it was sold at Sotheby’s in June 1988. In the coming months the Henry Graves Supercomplication by Patek Philippe could also find its way under the hammer for the first time since 1999 when it reached a record The $11,002,500. Sheikh Saud Mohammed bin Al Thani of Qatar has recently returned the priceless watch to Sotheby’s as a partial payment of $42m owing in unpaid auctions wins.